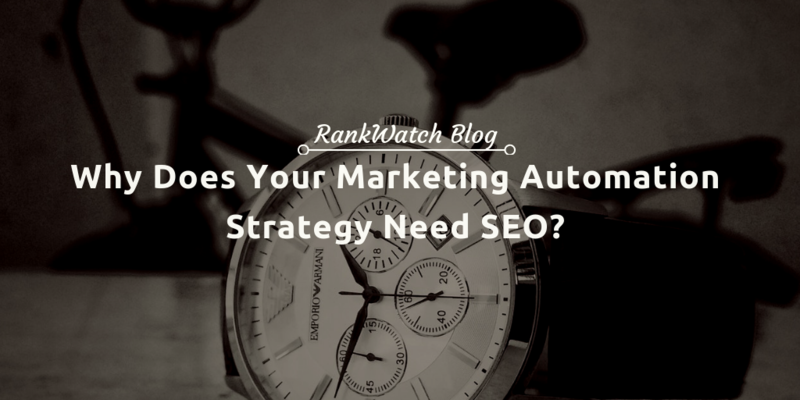 Why Does Your Marketing Automation Strategy Need SEO? Congrats, you created a dozen informative articles for your website and set up a marketing automation platform, it’s time to grow your business. When creating your marketing strategy, you probably know that all the automation tools in the world are not going to help much unless you can generate good traffic and your traffic generates SQL’s. This is where SEO comes in the picture. Google, the search engine king, gets over 63,000 searches every second of every day. That’s a huge audience, regardless of your industry. However, you won’t taste even a drop of it if your website doesn’t make it to page 1. People are already searching for your products or services. You only need to show up because they will never find you if you are buried beneath millions of other web pages. Make your marketing automation and content thrive by pairing them up with smart SEO techniques. Web users take advantage of the search engine no matter where they are in the buyer’s journey. Whether they’re just researching, comparing, or looking to buy immediately, hitting on the search box is their go-to. A research conducted by Forrester revealed that 71% of consumers search for new merchandises and services using a search engine. Also, 74% uses a search engine for research, analogy, and purchase. A web-visit is the first step to your thousand-mile marketing rollercoaster of every potential customer. An opt-in is just the second. Therefore, your opt-ins directly results from web visits. More web visits mean more chances for opt-ins. You have to rank on the first page of google to get page views bonanza and that’s exactly what SEO does. Take note that you’re aiming for page 1 because websites on page one of Google SERPS own 95% of web traffic. As much as getting page views is important, marketers often forget that what happens after a web visit is just as if not more important. This is the role of marketing automation, to make sure that your SEO efforts don’t go to waste. Your goal should be to increase your opt-in rate, the percentage of viewers who subscribe to your email list. One way to do this is to provide gated content or incentives. People love receiving things for free, especially if it’s valuable. An email is a private information. No one will be easily giving it out without a good reason. 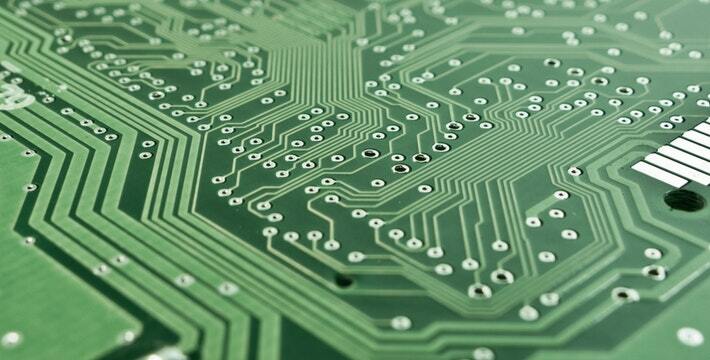 After successfully generating leads, marketing automation will take it from there. It provides the right content to the right person at the right time. You can smoothly inform, educate, and empower your leads until they are ready to purchase from you. Visitors you get through SEO initiated the connection. They chose to be on your web page. You did not have to use a disruptive ad to get their attention. This means that there is less convincing to make. They can even purchase on their first visit. Even if only around 4% of visitors buy on their first visit, that number is still significant if you have outstanding page views. Let’s say you have 10,000 pageviews per day. Four hundred buyers on the first visit is already a great achievement! Around 80% of search engine users are disregarding the paid advertisements and are only looking at organic results. According to Statista, ad blocking rate in the U.S in 2016 was 23% and, over the years, this number has only risen. People don’t like ads as much as they like coming across the content or product they need organically. Meanwhile, search engines aren’t going away anytime soon. Their influence is only getting wider as more and more people use search engines in making day-to-day decisions from looking for a nearby café to considering a major operation. Brand centred marketing is quickly fading out from the picture. As technology progresses, the power is shifted to consumers. They can control the information they want to get and how they want to get it. So if you’re still relying heavily on ads, it’s time to modify your strategies. Strengthen your content, SEO, and marketing automation instead. How, where, and when a visitor searched for your website can provide helpful data so you can provide a better customer journey. Each customer’s journey is unique. You can’t just rely on a single persona and think that all your tactics will work for everyone. Merging SEO with marketing automation allows you to provide more personalized and relevant nurturing. The data from these two marketing essentials will give you a better insight into what the customer needs at the right moment. Does he need a new lawn mower, fix a broken shower, or buy a perfect dress for a party? It also provides data so you can tailor better content on your website. Not all people are willing to opt-in. Many people are uncomfortable in giving away their information to random websites. Better accept it. Yes, you must do everything to earn the trust of your visitors. This doesn’t imply that you have to give up on reaching out to them. A competitive search engine rank will make sure that they can still easily find you even if they don’t buy the first, second, or third time. This, coupled with retargeting efforts of your marketing automation will give you better chances of winning your hard-to-get visitors. The best part of SEO is that with professional and methodical work, you can keep improving your ranking. You always have the chance of becoming number one. Continuously generating top-notch content and keeping it on top of google searches is a surefire way to keep the dice rolling. Marketing success is quality plus quantity. Search engines favour websites who regularly publish fresh content. It is hard work. But you don’t have to make it harder than it already is. Using the latest marketing automation technology means that you don’t have to do everything from scratch. The software will do the repetitive tasks for you so you can pour out your creative juices in generating fresh and valuable content. While SEO ensures that your hard labour gets all the attention it deserves. Content is the blood of your online presence, SEO is the heart, and marketing automation is the brain. Content nourishes your clients, it delivers what they need. SEO pumps out your content, it propels your message as far as possible so everyone who needs it will see. Lastly, marketing automation is the mastermind. It gathers up information and directs the content to those who need it and those who are searching for it. It analyzes what’s lacking and provides it on time. Luda Greko is a Digital Content Manager for ActiveTrail, a leading provider of professional-grade email marketing and automation software for growing businesses. By day she writes for top online marketing sites about email marketing and marketing automation, and by night she is a lifestyle blogger and a social media enthusiast. When are you available for the demo? We will contact you for a demo very soon. Something went wrong. Please after some time. Rank Watch is a toolset for SEO professionals that provides Internet marketing tools for search engine optimization (“SEO”) social media management (SMM) website optimization, including research and analysis, link building, campaign management, automated tracking of search engine performance, analytics and conversion tracking, and SEO reports. These services are provided to you through the site based on the plan purchased, including all software, data, text, images, sounds, videos, and other content made available through the site, or developed via the Rank Watch API (collectively, “Content”). Any new features added to or augmenting the Service, are also subject to these Terms. Rank Watch provides a free account and several tiered service, fee based accounts. Fees are based on the package the user has chosen. Each package has a base fee, which may incur extra charges for overages. Overage charges may apply to some services. You need to pay for services rendered above and beyond those included with your package. Account Downgrading: Downgrading your subscription plan level may cause the loss of content, features, or capacity of your account and you will be released by Rank Watch from any liability for such loss. In order to initiate the account downgrading process, you must manually delete the number of keywords tracked to permit use of the service on the desired subscription plan tier. If you do not make those changes prior to requesting the downgrade of your account, the action will not be authorized and you will remain on your current subscription plan tier until all appropriate and requested actions are made. Representations and Warranties: You have to represent and warrant that all the information provided to Rank Watch for using the service is correct, and current. Also, you need to ensure that you have all the necessary right, power, and authority to enter this agreement and perform the acts required as enumerated in this Agreement. Third-Party Content: Certain content, products or services made available through the Rank Watch service may include materials from third parties. In addition, Rank Watch may provide links to certain third-party websites as needed or to be used as reference when applicable. We are not responsible for this content or these websites, and you must agree not to hold us liable for any damage that may result from accessing or using them. No Thirty Party Beneficiaries: As a user of the Rank Watch service, you acknowledge that there shall be no third party beneficiaries to the agreement. Limitation of Liability: Under no circumstances shall Rank Watch be liable to any user or third party on account of that user's use or misuse of or reliance on the service arising from any claim relating to this agreement or the website, or the service. Such limitation of liability shall apply to prevent recovery of direct, indirect, incidental, consequential, special, exemplary, and punitive damages including lost profits, lost sales or business, lost data or business interruption whether such claim is based on warranty, contract, or tort (including negligence). Without limiting the generality of the foregoing, under no circumstances shall Rank Watch be held liable for any delay or failure in performance resulting directly or indirectly from acts, forces, or causes beyond its reasonable control, including, without limitation, Internet failures, computer equipment failures, telecommunication equipment failures, other equipment failures, electrical power failures, strikes, labor disputes (including lawful and unlawful strikes), riots, insurrections, civil disturbances shortages of labor or materials, fires, floods, storms, explosions, acts of God, war, governmental actions, orders of domestic or foreign courts or tribunals, non-performance of third parties, or loss of or fluctuations in heat, light, or air conditioning. Rank Watch shall not be liable for any direct damages, costs, losses or liabilities whatsoever by any user or third party. Some states do not allow the exclusion of implied warranties or limitation of liability for incidental or consequential damages, which means that some of the above limitations may not apply to you. In these situations, ‘Rank Watch' liability will be limited to the greatest extent permitted by law. Assignment: Rank Watch may assign or transfer Agreement, in whole or in part, without restriction. In the event of an assignment or transfer, all rights to your data will be transferred, and you may be required by the beneficiary of the assignment or transfer to enter into a new agreement. Cancellation: You are responsible for properly cancelling your account. You may cancel your account at any time by going to your PayPal or Recur account to cancel future charges for the service. Any method of communication other than electing to cancel your subscription plan inside your selected payment method will not be considered cancelled. All of your content will be immediately deleted from the service upon cancellation. This data cannot be recovered once your account is cancelled. If you pay your subscription in monthly installments and you cancel your subscription prior to the end of the subscription period, Rank Watch will terminate your access to the service and cease billing for future use of the service. However, you will remain responsible for all charges incurred prior to Rank Watch terminating access to your account. 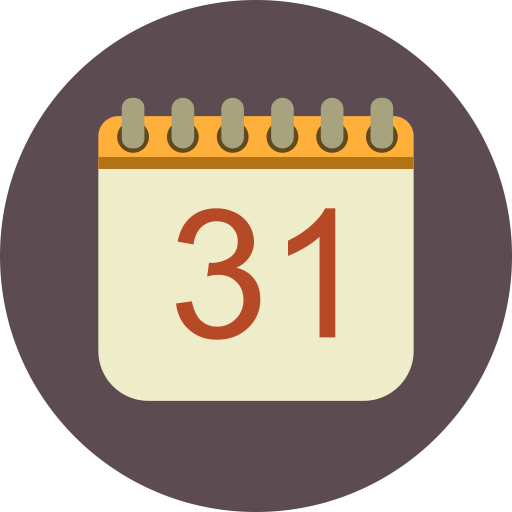 Nonpayment of the Rank Watch service seven (7) days after the last date of billing will constitute and initiate the cancellation of your account. After canceling your account by terminating future billings through PayPal or Recur, please submit a support ticket to initiate the termination of your account immediately. MODIFICATIONS: The Rank Watch Team reserves the right, at its sole discretion, to modify or replace any part of these terms. It is your responsibility to check these Terms of Service periodically for changes. Your continued use of Rank Watch service or access to Rank Watch website following the changes in these Terms constitutes acceptance of those changes. Governing Law: This Agreement shall be governed by and construed under the laws of the state of India without reference to its conflict of law principles. In the event of any conflicts between foreign law, rules, and regulations, and Indian law, rules, and regulations, Indian law, rules, and regulations shall prevail and govern. Each party agrees to submit to the exclusive and personal jurisdiction of the courts located in New Delhi, India. The United Nations Convention on Contracts for the International Sale of Goods and the Uniform Computer Information Transactions Act shall not apply to this Agreement. We collect certain information relating to users who visit the site. Rank Watch does not make any attempt to obtain information that personally identifies our users who visit our site. It is not our policy to sell or otherwise provide access to such information to unaffiliated third parties. 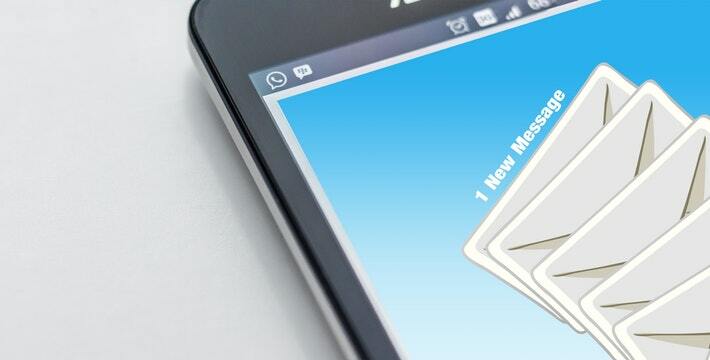 We collect the e-mail addresses of those who communicate with us via e-mail, aggregate information on what pages consumer access or visit, and information volunteered by the consumer (such as survey information and/or site registrations). The information we collect is used to improve the content of our Web pages and the quality of our service, and is not shared with or sold to other organizations for commercial purposes, except to provide products or services you’ve requested, when we have your permission. We may collect personal information from Users in a variety of ways, including, but not limited to, when Users visit our site, fill out a form, and in connection with other activities, services, features or resources that we make available on our Site. Users may be asked to input their name, email address, phone number, address, payment information, and other information that we may deem desirable to collect for the purposes of delivering or enhancing our Site or services. Users may, however, visit our Site without providing this information. We will collect personal information from Users only if they voluntarily submit such information to us. Users can always refuse to supply personal information, except that it may prevent them from engaging in certain Site-related activities, and they will be unable to enroll in the service that we provide. We may use the information we collect for internal reporting services, to create reports about rankings with all identifying information and keywords removed, and to help us help you. Namely, our service is designed to help you understand where you stand with your marketing efforts and to help us know how we can better serve you. Thus, we aggregate certain personal and non personal identifiable information, in an anonymous form, to help us develop new products, services, enhance existing ones, and create reports. We may collect non-personal information about users whenever they interact with our Site. Non-personal information may include the browser name, the type of computer, IP address, operating system, Internet Service Provider, and other technical information about users' means of visiting our Site. Our Site may use "cookies" to enhance Users' experiences. Users' web browsers place cookies on their hard drives in order to allow us to distinguish user accounts for security and privacy reasons, and to conduct marketing campaigns, that we think may grab the attention of certain Users. For these reasons, enabling cookies is mandatory for full functionality of our Site and service. Rank Watch uses third party vendors and hosting partners to provide the necessary hardware, software, networking, storage, and related technology required to run Rank Watch. All search engine data and other important information collected through Rank Watch is owned by Rank Watch and licensed to its customers on an as-needed basis. We do not sell, trade, or rent Users' personal information to others. We may share generic aggregated demographic information not linked to any personal information regarding visitors and users with our business partners, trusted affiliates and advertisers for the purposes outlined above and for any other purpose we deem desirable for our business operations or our Users. By using this Site, you signify your acceptance of this policy and terms of service. If you do not agree to this policy, please do not use our Site. Your continued use of the Site following the posting of changes to this policy means that you accept those changes. If you think you have the skills to contribute a quality blog post, feel free to upload your content below. What Qualifies as a "Quality Blog Post"? 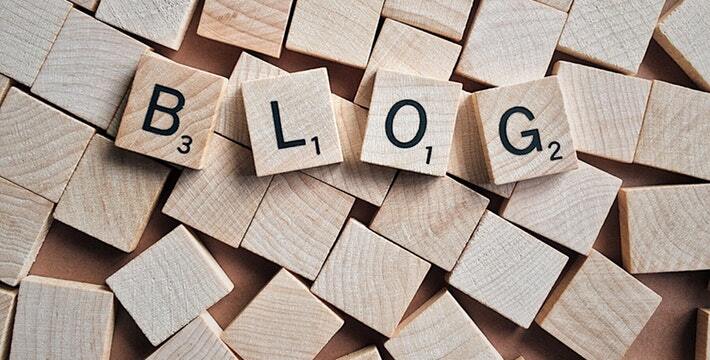 While the length of an average guest blog post varies from 1200 - 2000 words, we will let you decide, as this is completely subjective. What we expect is high interactivity of the content with the user. Feel free to link to pictures, infographics, statistics, case studies etc. While RankWatch is primarily dealing with Digital Marketing, we would love to have guest posts in and around the industry as well. Feel free to contact guestpost@rankwatch.com to discuss potential topics for the post. Thank you for your valuable time in submitting a blog post. You will hear back from us in the next 48 hours for the same. them conquer the SEO world. Get this infographic for free today! Please check your inbox for the infographic.